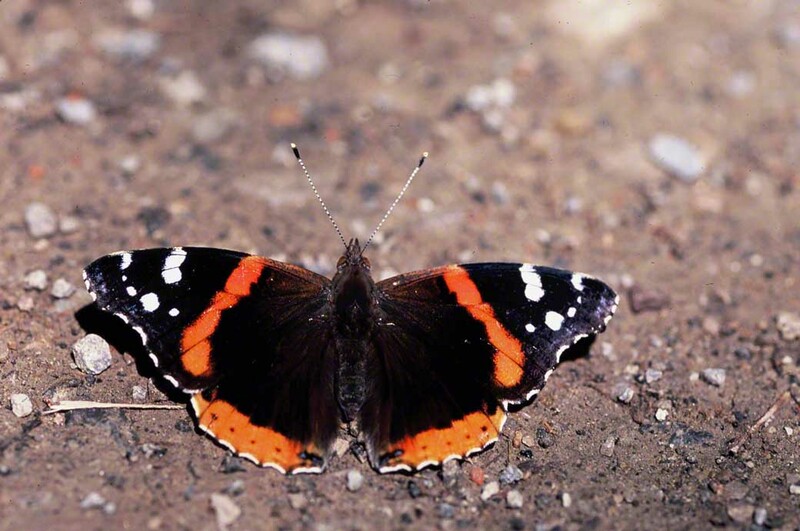 Forget making an appointment to meet a Red Admiral butterfly. They just never show up! It’s futile to think that if you at a certain garden or trail, at a certain time, that you’ll meet up. Does not happen. This is the butterfly of Unscheduled Stops. Seemingly no itinerary, they make fly in and nectar briefly, ‘though most of the time they disregard your blooms, and if do they show, they land on your garden walk, inspect that all is as it should be, and are soon gone. When they do make an appearance, experienced butterfly lovers recognize that immediately, what with those bright reddish-orange stripes crossing each forewing. There’s nothing like them. Me? Their name, Vanessa has always transfixed me. Vanessa, such a mystical name. Then my mind goes to that actress whom I have no patience for, Vanessa Redgrave, whose politics leave a bad taste in my mouth. Why did she have to get such an otherwise wild name? Sylbie shoots away, and the pair move to my upper arm. I scan the images in wingedbeauty’s ‘Media Library‘ when I prepare to post anew, and truth be told, I always pause when I see this series of images, shot last year, 2016 in the Butterflies & Blooms in the Briar Patch Habitat in Eatonton, Georgia. Pause, to reflect on how happy I was. How thankful I was. How emotional those 10 or 15 minutes were, when Sylbie Yon arrived unexpectedly, and that pair of Eastern Black Swallowtails, coupled tightly together, flew onto me. Since Frieda Z”L passed, butterflies have brought me to tears, several times. They so evoke Her Memory, and so flummox me when that rush is triggered. The initial moment of loss/despair . . . vanishes quickly, and it’s replaced by how much Love there was, and support there was for this well, different (to most) passion of mine. And, how such floods of beauty are extraordinary, yet so very real. in the beginning of this odyssey, family and friends struggled to understand. 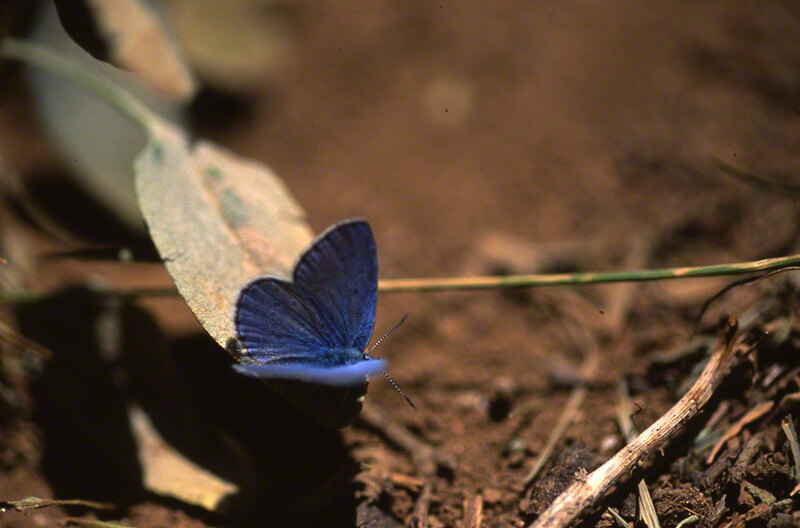 Photographing butterflies? Won’t make you rich? Sends you into swamps (mosquitoes), meadows (ticks), fens (travel to see a meadow ?). Came the time when those family and friends became resigned to what I do, and on the rare occasions that I showed up in an image, noted, more often than not, The Smile of a Lifetime. A fine Rx, No? NB, Have you seen the “Jeff’s Earring“series, with the click-on button at the top of your screen? Some hour or so after you leave Georgia, you reach Perry, Florida. This Florida Panhandle city is just 1/2 hour from this Butterfly Bust-Out destination: Big Bend Wildlife Management Area. One visit there is just not enough. Four days there earned more Wows! and OMG’s! then almost any other destination I’ve touched ( Exceptions: The Butterflies & Blooms in the Briar Patch Habitat in Eatonton, Georgia and just weeks ago, Adams County in very southern Ohio). At Big Bend, shown here, I didn’t just see one or two of these Palamedes Swallowtail butterflies, I saw dozens of them. These thistles shown too here were tall, robust and singing their rich color. The skippers were new to me, the Georgia Satyrs shyly came out to greet, Monarchs flew, Zebra Swallowtails showed up, all this and more. The zinger was that I had come, and had to go, before the Liatris opened to peak bloom. That article in the NABA magazine, under the new feature: Destinations, teased, sharing that you really, really wanted to be there when those thousands of Gayfeather blooms (Liatris) bugled to butterflies far and wide in that first week of September. Won’t you agree here, that these BiG Palamedes, flying in squadrons, almost, make quite an airshow? Early September in Big Bend, not too far into Florida, yet far enough to savor Florida’s butterfly riches.